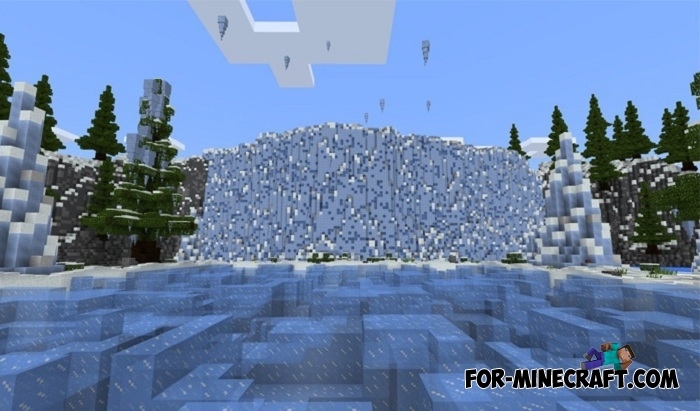 Huge icicles will fall from the sky the moment you start this parkour. There is no protection from the dangerous falling blocks of ice that destroy the ground under your feet. Each participant of the game must take care not only of his health, but also to think about the path that should lead you to the finish. Gradually the ground will be destroyed and eventually it will turn into a field with huge holes that can not be bypassed. 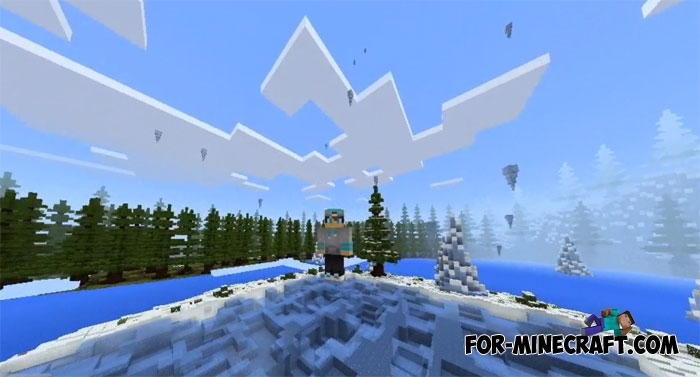 Skygames has already released quite a lot of very tasty maps for Minecraft Bedrock, which differ in beautiful design, team play and customized mechanisms. Download their maps and wait for new ones, the team is not going to stop and will continue to create amazing projects.